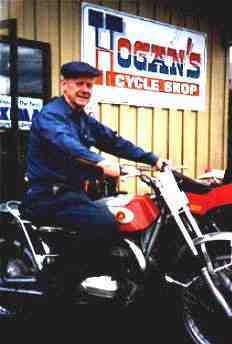 Bob Hogan , in business since 1956, previous New England Trials Champion, Motocross Champion, and Hillclimb Champion. Not to mention, ice and sidecar racer as well. But most importantly, an all-around great guy who will help you get what you need! PS. Ask him for the joke of the day.